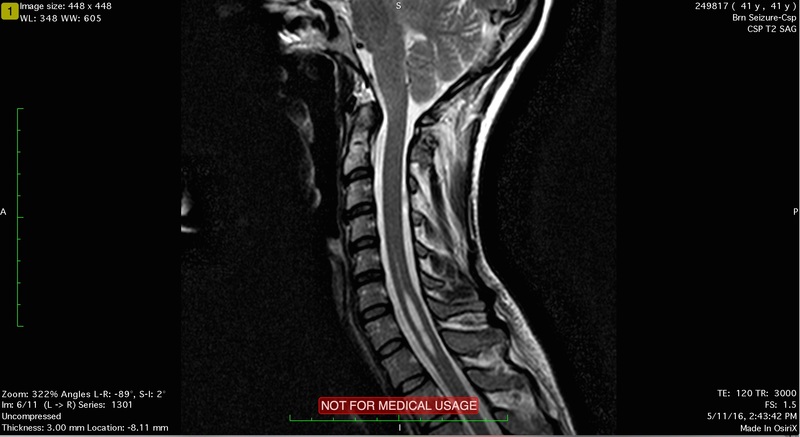 Today is the one-year anniversary of the MRI that diagnosed my syringomyelia. It was supposed to be a routine checkup after seizures. Sort of. My neurologist got freaked out by my gait, my abnormal smooth pursuit eye movements, my asymmetrical reflexes. She ordered a c-spine. We never did that before — only brain. The techs blasted Prince into my headphones. In every MRI before — and I have had a lot of MRIs — I dozed off, hypnotized by the clang clang clang and bang bang bang. I slid into the tube expecting a nap. Instead, I panicked. Sometime during the Purple Rain guitar solo, I tried to lift my head. My neck burned like a beheading with a blade of fire. I am paralyzed, I thought. I can’t move my neck. I can’t move my neck. I can’t move my neck. I kicked my feet. Screamed: GET ME OUT OF HERE. GET ME OUT OF HERE. I knew. My spinal cord knew. All this time, it had been transmitting coded messages in the strange movements of my eyes, like a political prisoner paraded out on TV. Classified intelligence about a biological weapon implanted in my backbone. My own body turned traitor. This is not a democracy anymore. You do not get to choose. You can’t move your neck. You can’t move your neck. “Winter Kills” is the soundtrack to the first time I saw the first syrinx in my spinal cord. C-Spine MRI scan showing a silvery hole in my spinal cord at C5-T1. I knew what that hole in my spinal cord was. If you have Chiari like I do, you know. On TV: The Americans. “Winter Kills” in the background as KGB agent Elizabeth Jennings rifles through her friend Young Hee’s house for the access code to a biological weapon. 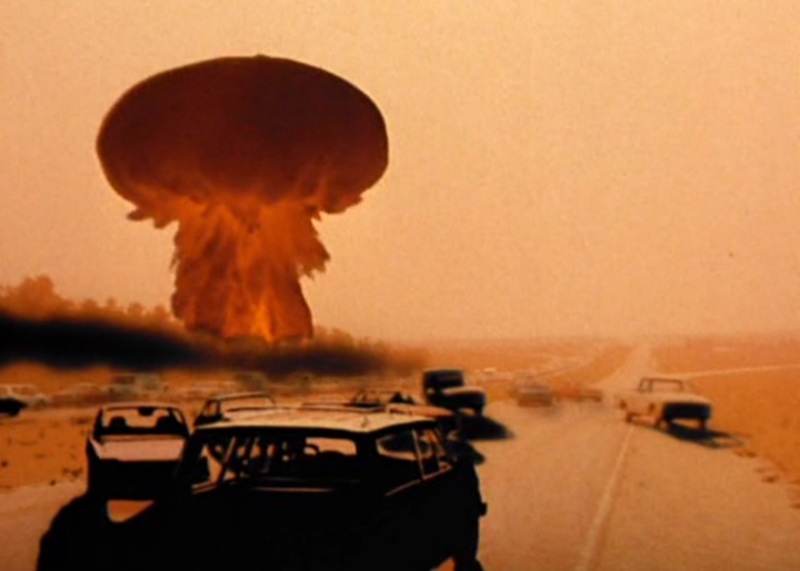 “The Day After” episode, when the Jennings family watches a made-for-TV movie about nuclear apocalypse, and they know: they are living, breathing weapons of mass destruction. 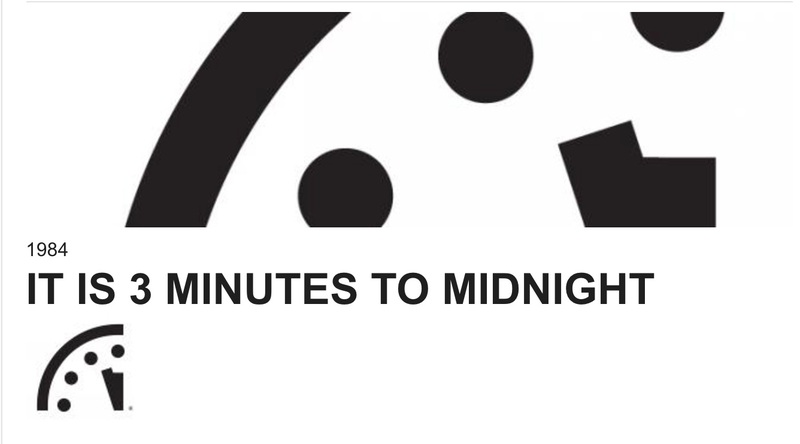 They are quickening the End of the World. Cedar Rapids, Iowa: land of Rockwell Collins, makers of military aircraft communications and space shuttle parts; Duane Arnold nuclear plant; the bread basket of the nation. The Russians are going to nuke us. The Russians are going to nuke us. The Russians are going to nuke us. 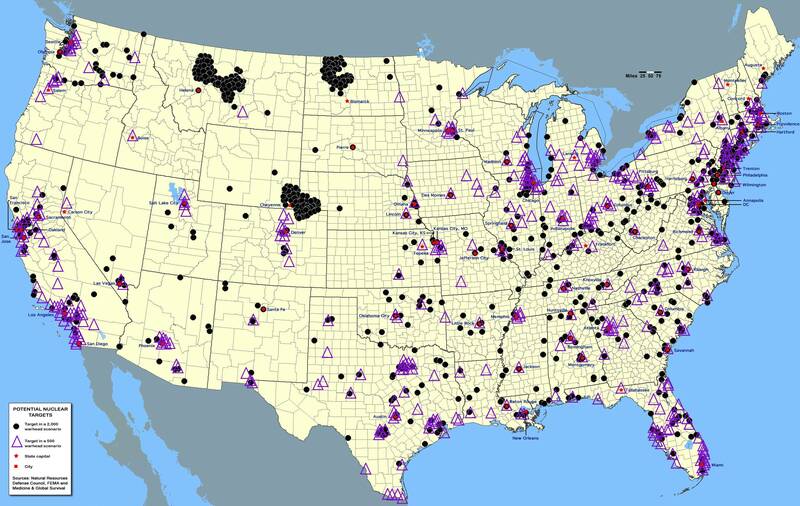 Nuclear winter is coming. They drilled it into our heads. The first Wednesday of every month: civil defense sirens. Take cover. Same as the tornado siren. I started to confuse tornadoes with nukes. Tornado shelters for bomb shelters. Tornado drills at school with duck and cover. Later, I thought it was all a lie, but it wasn’t. 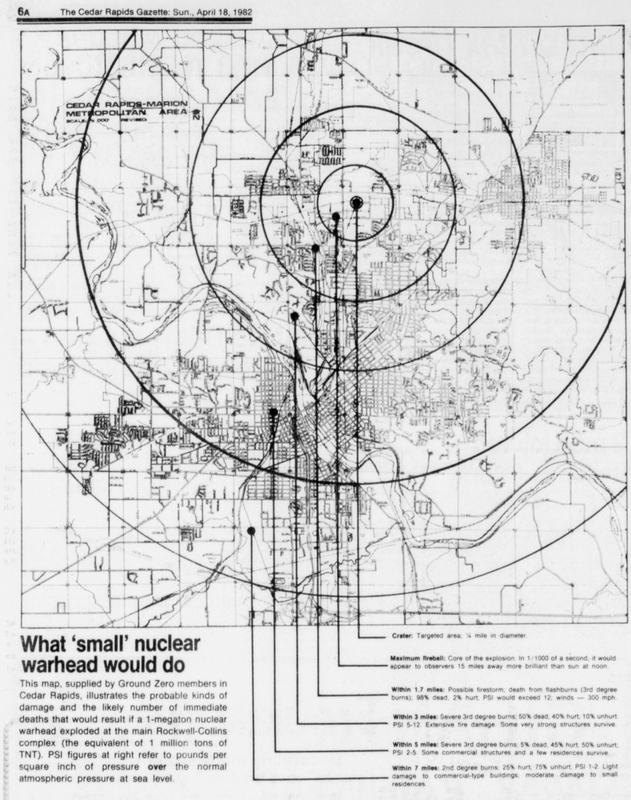 On maps of a 500-warhead scenario: a triangle marking my childhood industrial wasteland in a flyover state nobody cares exists. Tear at me, searching for weaker seams. I’ll tear at you, searching for weaker seams. Resurrection and apocalypse. Resurrection requires apocalypse. Resurrection is apocalypse. I am caught in a time loop: Comey canned, the president laughing in the Oval Office with the Russians who conspired to tear at us, searching for weaker seams, hacking intel about our election, turning our own democratic bodies against us.